Swampland and Yarra Libraries present Summer Sounds. Join us in the stunning rooftop garden of Bargoonga Nganjin, North Fitzroy Library to enjoy a series of live music performances curated by Swampland magazine and Yarra Libraries. Bring a coffee, the paper or some friends and discover some amazing local performers. Celebrating their 25th year, The Hackkets channel their love of rock and roll classics into their own reinvented AM radio fan-fiction. 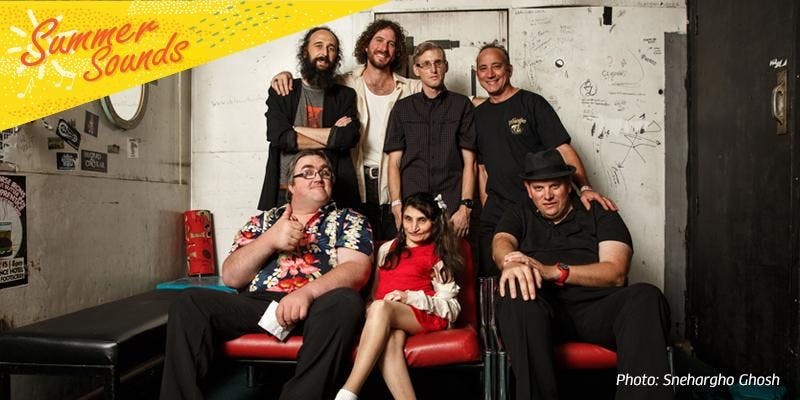 Made up of members with and without perceived disability, the band writes and performs originals based on life experience and humour. SaD are Simona Castricum and Daphne Camf (NO ZU). Together they pay romantic homage to minimal wave through crooning lamentations and danceable vulnerability. Ask for them by name.